The NIST Data Gateway provides easy access to NIST scientific and technical data. These data cover a broad range of substances and properties from many different scientific disciplines. 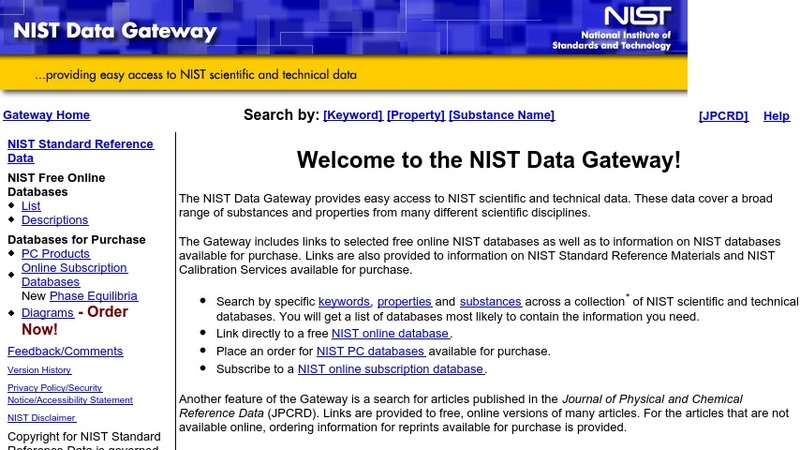 The Gateway includes links to selected free online NIST databases as well as to information on NIST databases available for purchase. Another feature of the Gateway is a search for articles published in the Journal of Physical and Chemical Reference Data (JPCRD).